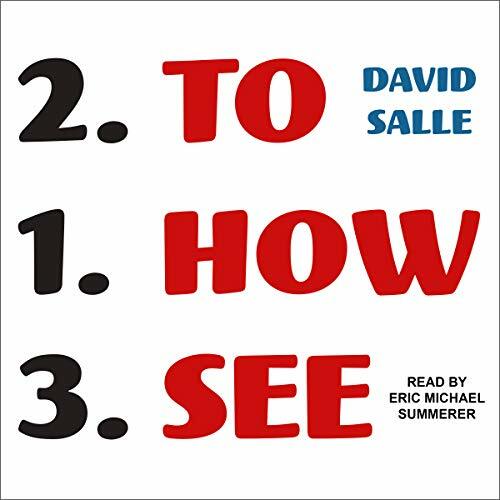 Salle writes with humor and verve, replacing the jargon of art theory with precise and evocative descriptions that help the listener develop a personal and intuitive engagement with art. The result: a master class on how to see with an artist's eye. If there was any entertaining info or story it was buried in polysyllabic pufferie .The writer overused his Thesaurus on steriods so much it became to boring and hard to follow. Well, I'd spent the money so I persisted to the end. But it was a slog. Salle writes authoritatively. He writes with seemingly deep knowledge on modern art history. I appreciated his lucid and intelligent writing. I enjoyed his humorous use of metaphor. Unfortunately for me, I was hoping for content that was consistent with the title. Perhaps a framework for seeing. Perhaps some timeless truths on tools for exploring the products of visual artists. Is there a general way to reach into visual art that would allow viewers to get the most out of what is presented? If that is what you are looking for then the book will likely disappoint you too. The book needed a conceptual framework - a core thesis, carefully developed and laid out. This would have provided a great way to make use of Salle's undoubted knowledge and experience. With this, I would have felt less deceived by the title. Instead, the book had an unusual feel. It was not short on content. But it was like a personally curated encyclopaedia of modern art history mashed up with personal anecdotes. Much of the content was biographical on the large number of artists talked about. A surprising amount of the content was autobiographical. As audiobook it naturally comes without the support of images. The cataloguing of Salle's responses to dozens of artists' bodies of work requires a persistent listener. The second big let down was the extent to which numerous responses contained put-downs of the work of other artists. These did not cast the author as an objective, dispassionate, nor compassionate member of his profession. A more accurate title would not have tempted me to buy. Then I wouldn't have had to write this review. Sorry, David, but the title felt like a lie.